With 135,000 visitors, f.re.e was able to achieve its absolute best record of 2017 again. This was mainly due to the enormous interest of visitors on the weekend. Visitor satisfaction even exceeded the high value of the previous year. Ninety-six percent of the trade fair visitors assessed it as excellent, very good or good. The satisfaction of the exhibitors was again very positive in all topic areas this year. Overall, more than 1,300 companies from 70 countries were represented. 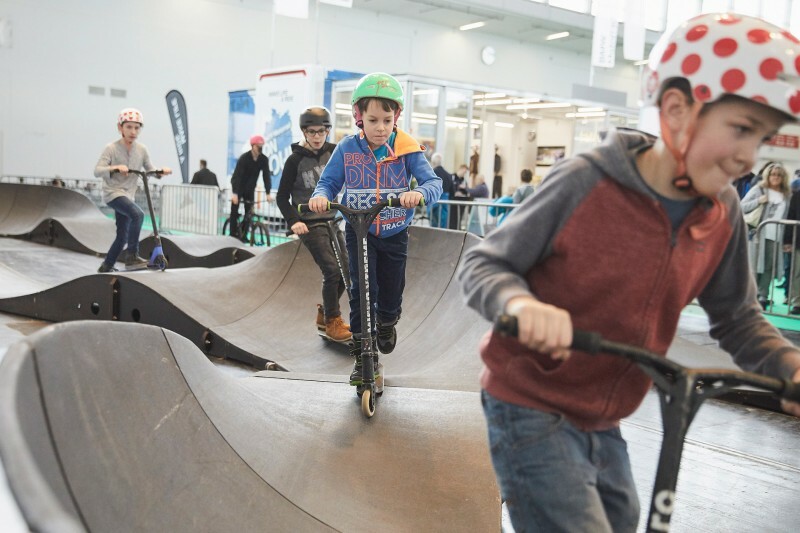 Managing Director Reinhard Pfeiffer looked back at a very successful f.re.e 2018: "The combination of leisure and recreational activities has proven to be just the right thing. Our visitors appreciate the fact that they receive individual and personal advice. For this reason, a lot was also purchased, ordered and booked at the trade fair." During her tour of the fair, Bavaria's Economic and Tourism Minister Ilse Aigner pointed out the important role of the event: "f.re.e as Bavaria's largest travel and leisure fair offers countless opportunities to get to know our state as an outstanding vacation and travel destination from camping and caravanning to water sports, cycling and other outdoor activities and all the way to health and wellness." The Munich Car Days have developed into a fixed institution in the context of f.re.e. More and more visitors now indicate that both events are firmly in their trade fair visit plans. As a result, this year's edition was a success from the point of view of the organizer Andrea Schaller from Münchener Zeitungs-Verlag: "Visitors again took advantage of the unique opportunity to find a variety of different car brands in one place and test drive them. Dealers also recorded high sales figures this year." Munich Golf Days Munich took place for the second time under the umbrella of the f.re.e in hall C3 from Friday to Sunday. Ingo Klover, Managing Director of planetfair, drew a positive balance: "We had satisfied exhibitors and above all many happy visitors, who enthusiastically occupied the numerous practice areas despite the sunny weather and purchased equipment for the upcoming golf season." Jessica Tilly, who was responsible for the fair for the first time as project manager of f.re.e, is pleased about her successful premiere: "It is a special honor for us when we get top marks both from exhibitors and visitors. We worked toward this goal the whole year." Malta, partner country of f.re.e 2018, presented a wide range of language courses and diving spots as well as cycling and hiking tours in addition to this year's culture capital Valletta. For Albert Friggieri, Maltese ambassador in Germany, the role of the partner country was a very good opportunity to show the versatility of the country: "The visitors were very interested in Malta on all days of the fair and asked specific questions concerning vacation planning. At f.re.e, we were able to show how much our small country has to offer tourists." The most popular tourist destination for Germans is still their own country. Almost every third person spends his holiday between the Alps and the North and Baltic Seas. The strong demand for domestic destinations was confirmed by Marina Seidel from Schwarzwald Tourismus (Black Forest Tourism): "We were pleasantly surprised by the crowds, even during the week, and the generally high interest. In addition, f.re.e also succeeds in addressing a clearly younger audience, which definitely speaks in favor of the fair." As the largest travel and leisure trade fair in Bavaria, f.re.e has numerous vacation offers in the state. The demand was very strong again this year, as Veronika Perschl, Deputy Managing Director of the Eastern Bavarian Tourism Association, confirmed: "f.re.e is still one of the most important trade fairs for us overall. There was especially a lot of demand for everything dealing with cycling and hiking, but also our wellness and health offers." The positive trend in traveling on the water was also demonstrated at this year's f.re.e. Cruises & boat trips had their own topic area for the first time. According to a survey, one out of every four visitors obtained information about the vacation offers on water. One of the highlights in this area was the houseboat from le boat, among others. Stephanie Knoss, Marketing Manager of le boat houseboat vacations, is satisfied: "We were able to use f.re.e to stimulate the interest of many for the topic of houseboat vacations. Because houseboats represent an alternative to camping or other individual vacation types, we're hoping for successful follow-up business after the fair." Caravanning is currently as popular as ever. The new registrations in Germany have once again achieved a record result. Caravanning & Camping is one of the most popular leisure areas at f.re.e. Almost every second visitor indicated visiting Halls B3 and B4. Daniel Onggowinarso, Managing Director of the Caravanning Industry Association (CIVD), emphasized the great importance of f.re.e: "With its interesting mix of topics from travel and leisure as well as its attractive visitor structure, the trade fair is an excellent platform for the caravanning industry. Consequently, f.re.e is now an essential date in the caravanning calendar." 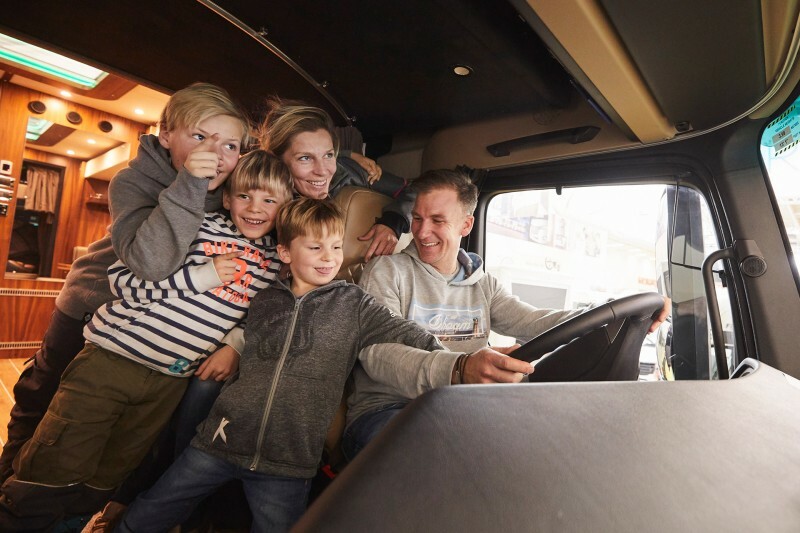 Covering an area of two football fields, 150 exhibitors presented 300 vehicles as well as 70 brands and an extensive range of equipment and accessories for the next camping vacation. The positive development in the caravanning market is also reflected at f.re.e. For example, motorhome manufacturers Challenger and Frankia were represented with their own booths this year. For Markus Beck, Head of Marketing at Frankia, participation in the fair was a great success: We are very satisfied with this year's f.re.e." We had many interesting discussions, and we are pleased with the quality of the visitors. We reach our target audience here. We will come again in 2019." The offer in the bicycle hall B6 ranged from mountain and e-bikes to equipment and all the way to bicycle tourism. Switzerland presented itself as a biking destination at f.re.e for the first time. For Franziska Lüthi from Switzerland Tourism, it was a successful premiere: "We experienced the Munich Trade Fair and especially our exhibit in the bicycle hall B6 as especially valuable. We had many concrete discussions with visitors who were really interested in cycling vacations in Switzerland and often already had specific ideas and plans for them." Gerhard Kögl from BICO confirmed the huge enthusiasm of visitors for the bicycle topic: "We achieved our goals at f.re.e have and are very satisfied with the course of the fair. We had very many visitors at our booth especially on the weekend and very promising consultation discussions." The lakes landscape was one of the visitor magnets in the topic area of water sports. 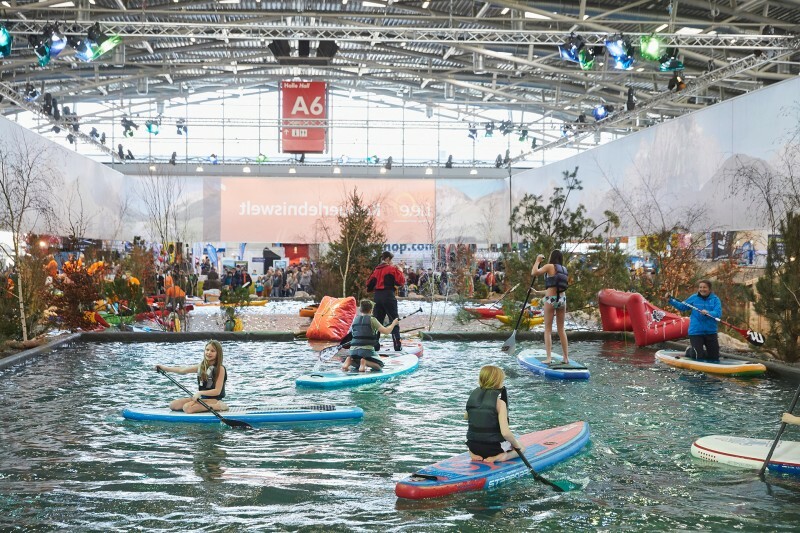 According to the Bavarian Canoe Association, more than 3,300 people tested a canoe or kayak during the five days of the trade fair. In addition, the topic of stand-up paddling was very popular with visitors. For Thomas Richter, Managing Director of GTSports, f.re.e stands out clearly from the competition: "f.re.e impresses with its mix of different topics and the consequent great variety of visitors. This is a unique selling point compared to other leisure trade fairs in Germany." Munich Diving Day took place in the context of f.re.e for the third time this year. For Werner Nehls from the Association of International Diving Schools, this year’s event was also very good: "The Diving Day was a great success with high-quality talks and has become established in this environment." It was up to mountain heights in hall A6 on the weekend. On Saturday, the best Bavarian youth climbers competed against each other at the Bavarian Bouldercup. The 10th CLIMB FREE was on the agenda on Sunday as first competitive event in the context of the Oberland Cup 2018. Patricia Ebenberger from the Munich and Oberland Section of the German Alpine Club is satisfied with the course of the event: "Climb Free was very well attended by participants and spectators. This was a unique opportunity for young climbers to boulder in front of such a backdrop and fire the enthusiasm of the audience for this sport." In addition to the competitions, visitors showed great interest in the outdoor area for equipment for the next mountain hike. Frank Selter, owner of Kaipara, recorded his best trade fair result: “The trade fair was more successful for us this year than ever before. The affinity of the people from Munich for the Outdoor topic is just right for our range of sportswear." The Health & Wellness area had the right offer for every need this year from fitness exercises on the health stage to wellness offers at home. Svetosar Grbic, Managing Director of Donnerberg, is very pleased with the course of the trade fair: "As a Munich company, f.re.e has been on our agenda for years. We can cultivate contact to our regular customers here and provide information about our products to new customers in the region, but also to people from Austria and Switzerland." The Czech Republic will be the partner country at the next travel and leisure fair f.re.e on the grounds of Messe München from February 20 to 24, 2019.